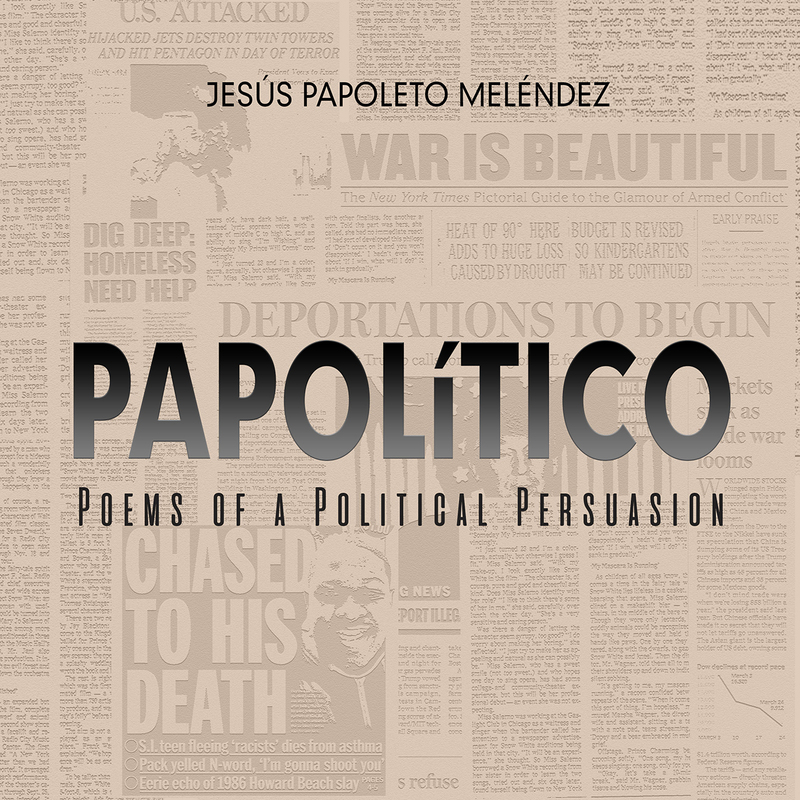 PAPOLiTICO, POEMS OF A POLITICAL PERSUASION is award-winning poet Jesus Papoleto Melendez’ sixth book of poetry. Witty, wise, personal and political, Melendez, often weary of the social issues and politics of the day, has created an exciting compilation of new and previously published poems in a collection that he has daringly named after himself to nudge people out of complacency. His poetry is written with satirical and ironic wit, presented in a "cascading” style that dictates the beat and rhythm of his poems he has become known for. This volume contains some of Melendez’ classic poems, like "A San Diego Southern/African Night,” with new poems that are a bit edgier and challenge the status quo. Despite the frustrations and harsh realities we live in today, Melendez maintains an eternal belief that it is never too late for our future to be changed for the better, making PAPOLiTICO a poetic call for tolerance, reflection, reconciliation, and healing.